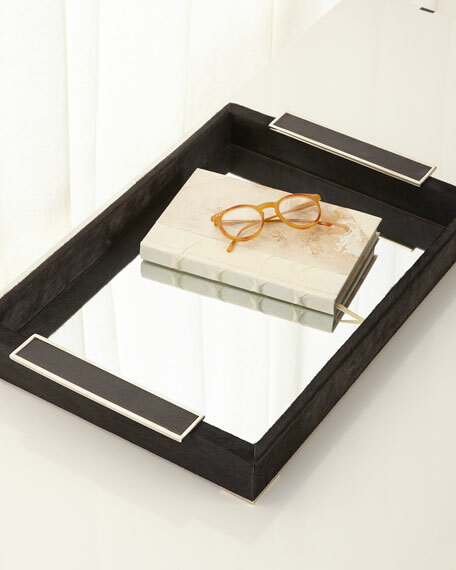 A sleek black hair on hide tray is mirrored with brushed stainless steel and leather. Handcrafted tray with mirrored bottom. Stainless steel and leather trim. 21.3"W x 14"D x 2.5"T.
Weight, 7.6 lbs. Boxed weight, approximately 11 lbs.